January 10, 2019 - Charleroi, PA - Nokomis, Inc., the preeminent company in the world in the detection, identification, and geolocation of electronics, currently has an opening for an ASIC Designer Engineer. This position is for an engineer with significant Application Specific Integrated Circuit (ASIC) design and development experience that will be part of a team with diverse talents and skills. The candidate will be involved in all phases of engineering and design of electrical and electronic devices. We are seeking versatile problem solvers that can apply their skills and experience to a wide array of design challenges and produce results that enhance the company's electrical and electronic device offerings. Innovative and driven engineers who bring unique solutions to challenging engineering problems are highly desirable. The engineer will develop and implement Integrated circuit design as part of a larger complex system encompassing multiple electronic components. RF Signal Processing, design and development of ASICs will be part of job execution. The candidate shall be well versed in, integrated circuit design, ASIC design and development, Digital Signal Processing (DSP), analog circuitry, the development of chip scale devices and CAD tools for IC design. Nokomis offers all the advantages you would expect from a dynamic, small, high technology company, including competitive salaries, bonuses, stock options, paid holidays, health and dental insurance. Offices are located in Charleroi, PA (just south of Pittsburgh) and in Toledo, OH. Qualified applicants are encouraged to contact Nokomis. Please visit our Careers webpage for more information and other job openings. Nokomis, Inc. is proud to be an equal opportunity employer. Positions are open to US citizens only. 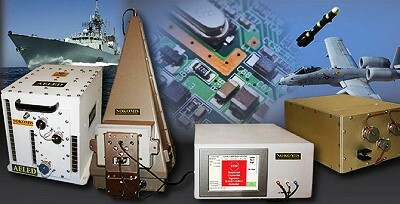 Nokomis is a high growth technology company dedicated to providing advanced technical capability for our customers. Over the last decade our team has developed and delivered state-of-the-art uniquely capable sensors and technology solutions. Founded in 2002, Nokomis is the pre-eminent company in the world in the detection, identification, and geolocation of electronics. Nokomis has executed on over 65 government contracts valued over $38 million in aggregate. Nokomis is a certified small business with corporate offices located in Charleroi, Pennsylvania. The 50,000 sq. ft. Charleroi facility is endowed with state-of-the-art scientific, engineering and manufacturing capabilities. Additional locations include an Embedded Systems Division located in Toledo, OH; a Non-Destructive Evaluation Division in McDonald, PA; and a 163 acre test facility in Mather, PA.